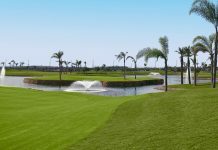 On Friday 19th January Montgo Golf Society played their first trophy competition of the year, a stableford competition for the Santana Salver, kindly sponsored by Steve Crossan. 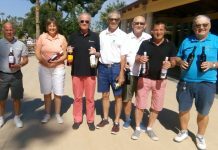 Unfortunately Steve hurt his back during his round and had to leave before the presentation, however we thank Steve for his lovely prizes and wish him a swift recovery. 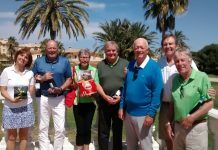 The weather in Spain remains incredible and again we were welcomed to the course by a beautiful warm and sunny day, nothing like that being endured by our poor friends in the UK at the moment. 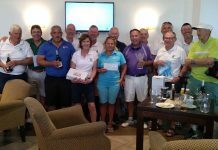 This brought out a great field of 40 players including the welcome return of Peter Kneebone from his golf sabbatical, as well as Jimmy and Ros Fletcher from their self imposed exile in the wilds of Cumbria. 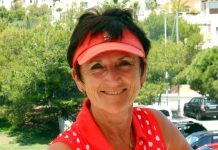 Stella Fox continued her great start to the year by taking the trophy with a fantastic 40 points off her soon to be slashed handicap of 17.1. 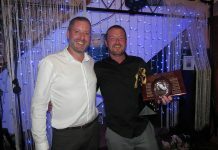 In second place was Geoff Willcock with 38 points off 11.7, and in third place was Denise Cooper with 35 points off 17.4. 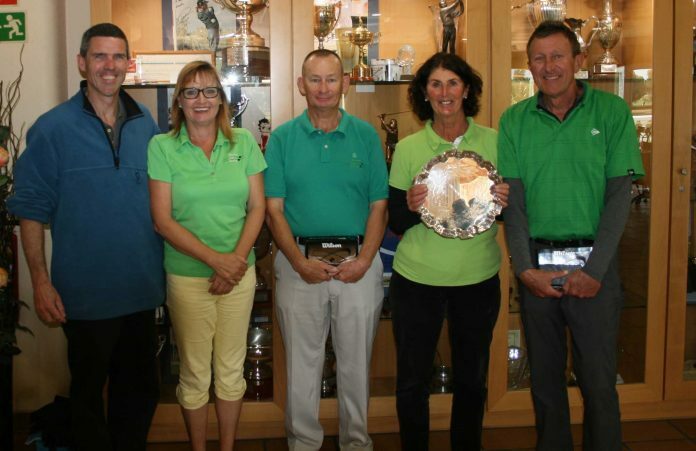 Not to be outdone by his wife, Simon Fox took the prize for nearest the pin on the 3rd before Stella re-affirmed her position as the family’s premier golfer by winning the 11th. Finally Shaun O’Gorman capped an up and down day with a great second shot to the 18th to secure the final prize on offer. There were no 2’s recorded and our stock of Montgo balls remained intact, much to the pleasure of our competitions secretary, George Braddick. 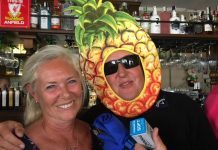 Congratulations to Penny Barden, who celebrated her birthday and provided a bottle for a card draw, which went to John Snelling. 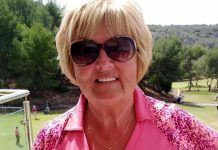 Our next event is on Friday 2nd February, when we will be playing a stableford competition sponsored by our new captain Denise Cooper. 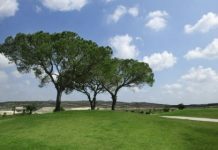 Guests are welcome subject to availability and current handicap certificate.